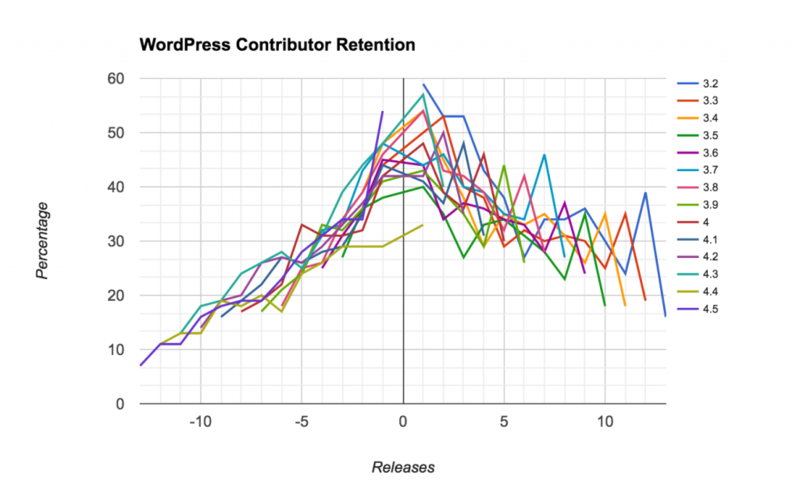 I posted a graph of new WordPress contributors per release and Brian Krogsgard had some questions that I decided to look into. Mostly he wanted to know how well WordPress did at maintaining contributors. So I made some more graphs. In general, past contributions as a predictor of future contributions are pretty consistent across releases. 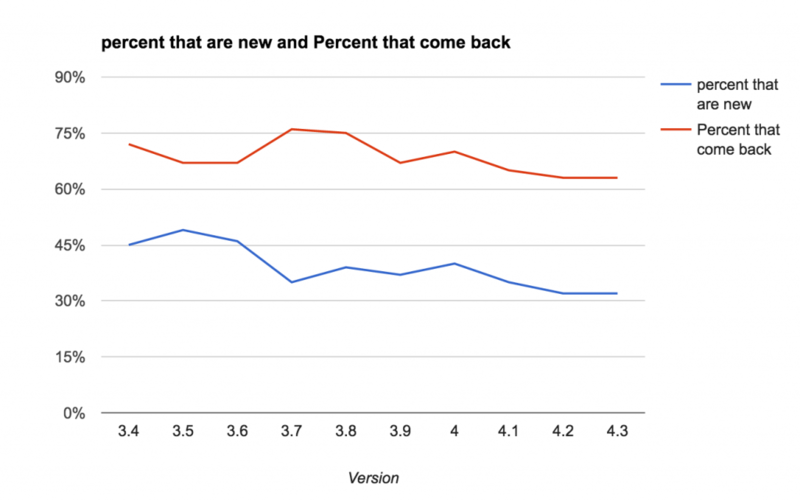 If you contribute to one release, there is a 46% chance you will contribute to the next release. Overall, 44% of individuals who have contributed, have contributed at least twice. While on its head, that means 56% of people only contributed once, digging in I was able to find that from 3.2 to 4.3, if you contribute, there is a 70% chance you will contribute again. A total of 12 individuals contributed to all 14 versions analyzed and 57 contributed to 10 or more versions. What does this mean? Mostly that we need to continue watching for change in this regard. 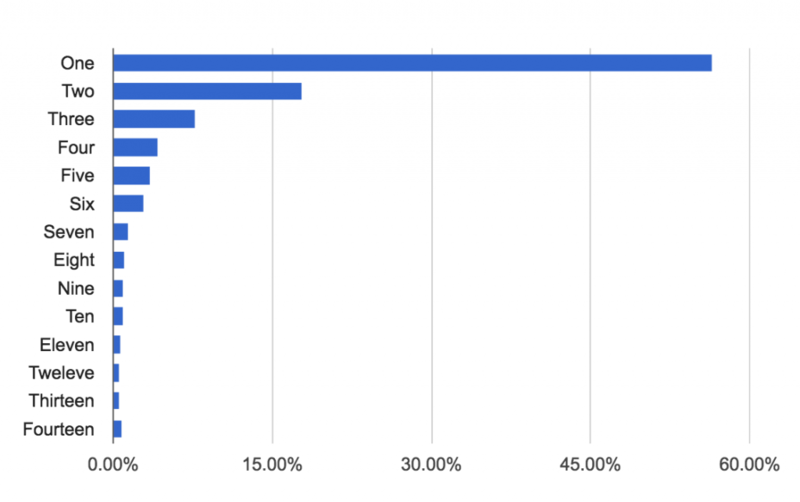 Outside of 4.4, WordPress has remained consistent. Adding the git mirrors didn’t change anything. Switching to including the build tools and tests in the repo didn’t either. As the WordPress contribution process continues to evolve, it will be interesting to see what if anything moves the needle.